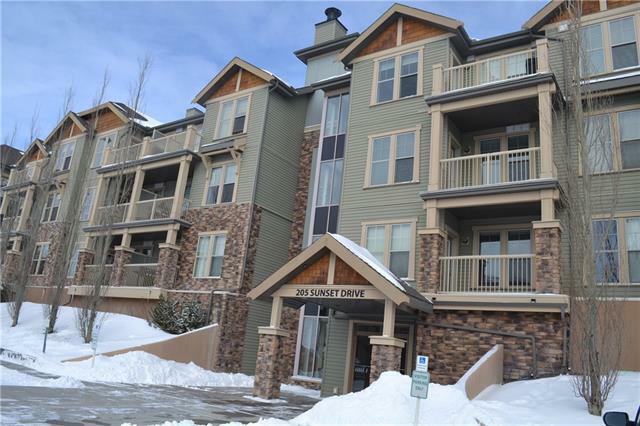 A truly Gorgeous 1 bedroom unit in the Village of Sunset Ridge. 1 TITLED parking stall. BRIGHT & OPEN CONCEPT kitchen with STAINLESS STEEL appliances including a dishwasher, flat top stove, refrigerator & built-in-microwave. Lots of counter top space & RAISED BREAKFAST BAR w/ 3 gorgeous pendulums. 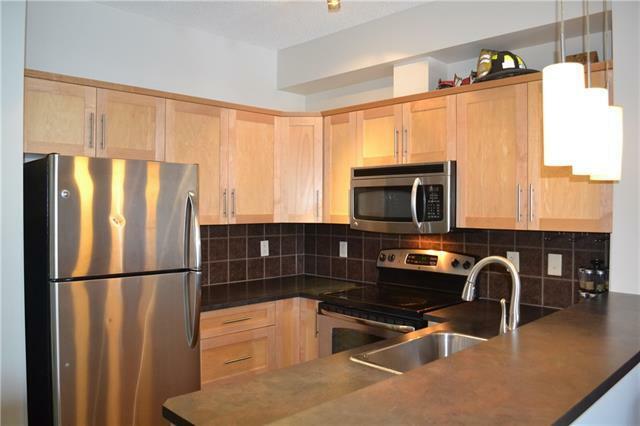 Conveniently located IN-SUITE LAUNDRY w/ stacked washer & dryer. Good size storage space. Shelving, blinds & curtain rods throughout w/ carpet & laminate flooring. Large windows. Massive master bedroom easily fits a king bed & a dresser with walk-in closet. 4-pc main bathroom. Separate home office area provides a private in-suite working space. Impressive state of the art FREE ON-SITE GYM FACILITY. 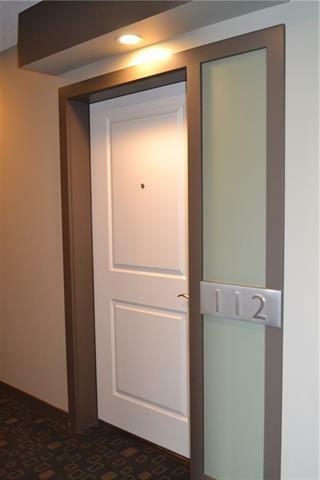 2 GUEST SUITES for your friends & family. Large patio, ideal for entertaining. Glamorous building in beautiful Cochrane. Enjoy all the beauty the outdoors has to offer with all the comforts of city living. 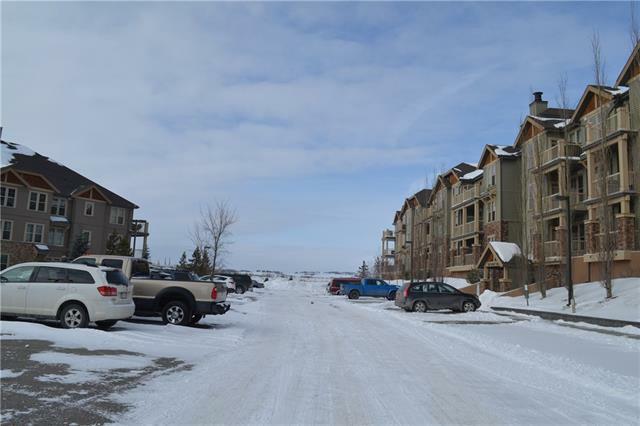 Come & see what Cochrane has to offer & discover the AMAZING LOCATION yourself. Priced to sell. WELCOME HOME!